The moving process is a long and stressful one, especially if you are trying to move internationally. What you should know about international moving is that it is not that different from long-distance moves. That being said, you should ask each prospective company for everything you would if you were moving long-distance... such as quotes, references and any additional information you'll need to ensure that your items are safe from the time they leave the port of origin to the time they reach their destination. As with any move, make sure you have the moving company pack any valuables you may have so they stay save during their travels. When choosing an International mover, you have to be more particular about who you are choosing as your desired mover. They have different regulations and are not subjected to the same ones that long distance movers are associated with. What memberships are indicators of a reliable international moving company? How will RIM Certification help you choose an international mover? Registered International Mover (RIM) Certification is a program provided by the American Moving and Storage Association (AMSA) that has established universal standards for international moving companies and their personnel, while raising their overall level of professionalism and performance. To receive a RIM Certification, a company must go through training, testing and verification processes to ensure they meet the standards for equipment and facilities to handle quality international household goods relocations safely and efficiently. The RIM Certificate Program also provides a system of standardization and means of comparison for selecting qualified international movers anywhere in the world. It places a predetermined level of importance on characteristics and also allows customers to get an unbiased glimpse of the moving company. How will the Federal Maritime Commission protect your international move? How can you find out if an international moving company is blacklisted? When it comes to picking a moving company, you'll want to be sure you have a reliable one and not one that has a bad track record. Checking if a company is blacklisted is good to do before you hire a moving company. There are plenty of websites you can check that will give you a list of endorsed companies and a list of blacklisted companies, to help you narrow down your search. For example, RipoffReport is a consumer reporting website where individuals can share bad experiences. You should also listen to real customer experiences in the Movers.com review section. How can you check references and reviews for international movers? When researching prospective moving companies, be sure to find out just how many moves the company has under it's belt and how many international offices it has. Once you've picked a handful of companies, it's time to give them a call and ask them a few questions. Be wary of references that call you. Tell them that you're busy and schedule a time to call them back. Make sure the representative you speak with provides you with a full name, job title and email address for all three references. Personally call each reference. Just like you would with a job interview, follow-up with a thank you email. Typically, international moves are calculated by the volume and weight of your goods. However, there are many other charges involved such as destination port fees, terminal handling chargers, custom fees/duties, craft charges, custom inspection charges, customs clearance, delivery-to-door charges, packing materials and extra fees for objects that are of unique shapes or unusually heavy. An employee of the moving company should be the only one coming to answer your questions about pricing, packing procedures and other details of your move. That being said, a broker cannot and should not be the one coming to your house to asses your goods and provide you an estimate. Brokers cannot give you a proper estimate and are not liable if anything happens to your goods during transport. How much experience/training should international movers have? It goes without saying, that the more experienced a mover is in handing international relocation, the more likely it is that your move will be successful. Don't simply hire someone who can handle overseas moves. A company that specializes in international relocation is better suited to move your belongings internationally. TIP: For a better understanding of the company's experience, ask how many international moves they've performed within the past year. This is best. If your belongings change vessels at all during the trip, you risk damaging or even losing your belongings. All international movers should have an FMC number, a membership with the FIDI and RIM certification. The person who receives your items in your destination country is referred to as a Destination Agent. Be sure to ask about the company they are using, so you can do a background check and speak with their references. TIP: Ask the Destination Agent any questions regarding import duties and regulations in place in the destination country. A customs broker prepares your documents, calculates your taxes/duties and makes sure your shipment clears through customs. Many companies do offer this service, but some don't, so it's a good idea to figure out if the company you are choosing does this. TIP: Hiring a professional to take care of your customs brokering will decrease the chances of you making a costly mistake when importing goods. Who will take care of you once you've arrived overseas? Many companies partner with moving companies located in your destination country. Speak with the moving companies you are interviewing and find out who the company they've partnered with is, how to contact them and what the process is for getting your belongings to your new home. TIP: Make sure the services they offer are clear and that they deliver your belongings in a timely manner. Depending on what country you are moving to, some require that the owner of the goods be present for your belongings to clear customs. Be sure to discuss this with the movers when scheduling your delivery date. If you are unable to come receive your items, they will sit at the port pending customs clearance. Make sure you ask the company if they provide storage service in your new country of origin. Many international movers have warehouses where you can store your belongings, but you'll have to book your space in advance. Having good insurance for your international move is a must. Your items will be traveling a very long way and you want to be sure they are adequately protected for their long journey. Ask the moving company what insurance plans they offer, but be prepared to pay more per pound than you would for a domestic move. Familiarize yourself with the extent of your coverage and conditions for liability, for example, ask if you'll be covered for items you packed yourself. Do they load your items in crates? Depending on the size of your shipment and how you arrange to have things packed, your items will either be loaded into crates within a shipping container, or they'll be packed loosely in the container, but be sure you know which options you agreed upon with your moving company. If you are loading your items loosely into the container, your items will be more susceptible to bumps and shifting. TIP: If you're sending a lot of fragile things or a lot of furniture, opt to have your items crated. Do they load the shipping container themselves? The shipping containers will be loaded by the company you choose depending on their size and capacity. If they are too small of a company, they may hire a third party to load for them. TIP: If a third party company is used, be sure to vet the company to make sure they're just as reputable as your moving company. Are your belongings being shipped solo? Some companies will try to save money, by mixing your crates with others. If you're comfortable with this option, it may end up saving you money in the long run, however if you would prefer your items ship internationally in their own container, make sure you clear it with your movers. Make sure the company you have selected is licensed and insured. 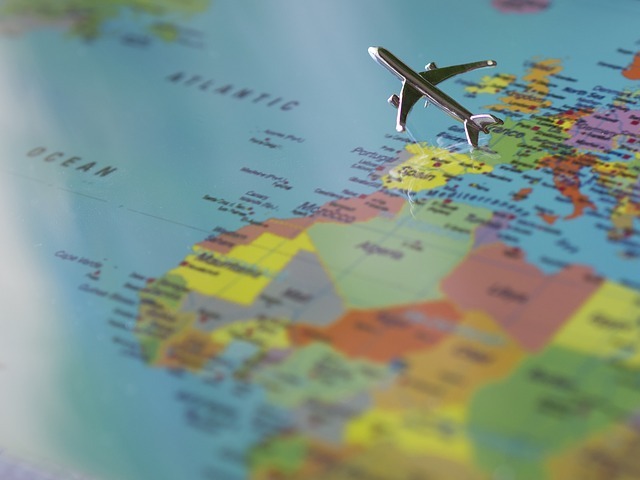 It may seem overly cautious, but if they don't have coverage you could find yourself in a bit of a pickle that will hinder your overseas move. Can they take photos for you? We all know the saying actions speak louder than words. The same goes for moving companies. They may talk a good game, but can they follow through? Prior to booking a moving company, ask them if they take photos of your shipment to prove they are doing everything they said they would do; this will add a layer of accountability and will help eliminate some of the companies that aren't going to treat your belongings with care. TIP: Also remember to ask for a time frame for the promised photos via email so you receive the images quickly. Reading testimonials on a company's website is one thing, but a company that is willing to provide you with a few references to verify their professional work and experience will help you in the long run. Ask simple questions in addition to asking for references such as "How long have you been in the field? and "How many overseas moves have you done?" Making sure a company has sufficient experience with overseas moves will help you determine which companies actually know what they are doing when it comes to an international move and which ones don't. How will your shipment pass through customs? The process of getting your belongings has become more more difficult with time. With time, it has become almost necessary that your moving company provides customs brokerage services to assist with getting your belongings through customs so they don't sit in port racking up storage fees. Who will be your main point of contact throughout the process? Scheduling an overseas move is hard enough, you shouldn't have a phone book of people you need to contact in order to find out where your belongings are. To make the experience run smoother and be less stressful, pick just one individual from the moving company who is the most familiar with your process and your experience from beginning to end. Dealing with someone you've spoken to throughout the process is going to make you feel more comfortable when it comes time to handing over your belongings.